Scent: Green, earthy, slightly floral in dilution. 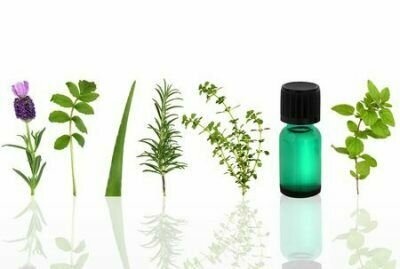 Action: Antiseptic, antifungal, astringent, anti-inflammatory, nervine, aperient, analgesic, expectorant, bronchodilator, diuretic, diaphoretic, vasodilatory, hypotensive, antioxidant, febrifuge. Benefits, Indications: Irritating coughs, bronchitis, asthma, whooping cough, chest infections, tonsillitis, swollen glands, catarrh, sinus congestion, colds, fevers, insomnia, liver problems, constipation, headaches, migraines, arthritis, tension, anxiety, aid to cancer treatment (breast, lungs, throat, intestines, lymph, skin), abscesses, boils, obesity, breast lumps, fibroids, urinary tract infections, stones and gravel. More Info: Violet oil can be used to treat swellings and bruises as it is soothing and cooling. In aromatherapy skin care it makes an excellent moisturizer and emollient, which also gently tightens pores and thread veins. It is indicated for acne, eczema and dermatitis. Violet can also be used to stimulate circulation and aids fibrosis and rheumatism. Grieves reports anti-cancer and antitumor activity of the leaves. This may prove a very interesting and promising area of research. Precautions: Generally considered to be nontoxic and a non-irritant with the possibility of sensitization in certain individuals. Composition of essential oil and biological activity of extracts of Viola odorata L. from central Iran. Repellency effect of forty-one essential oils against Aedes, Anopheles, and Culex mosquitoes.